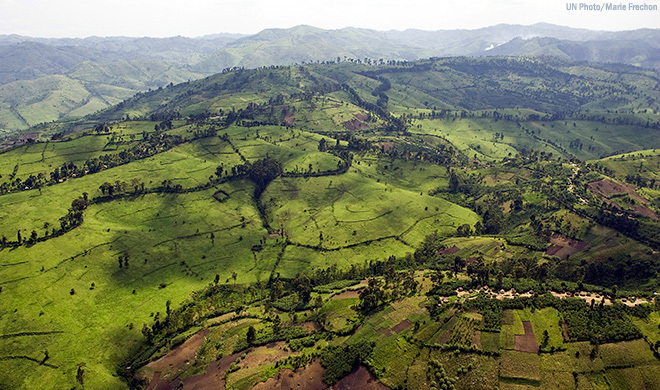 The Great Lakes region of Africa’s rich natural resources, particularly minerals, should be a boon for its people, governments, and companies alike. However, minerals exploitation by private actors and armed groups over the past several decades have made the region’s minerals wealth more of a curse than a blessing for its people, particularly in the Democratic Republic of Congo. The business investment climate has left much to be desired, with Congo’s high corruption rates and relatively poor infrastructure. However, these challenges may be abating. Following a number of military and political moves toward a more peaceful Democratic Republic of Congo, new business and investment opportunities have started to emerge. Market regulations instituted by the 2010 Dodd Frank Act have helped reduced armed groups’ involvement in the minerals sector and created a two-tier market for tin, tantalum, and tungsten, helping to incentivize clean-sourcing practices. Additionally, the surrender of the M23 in November 2013 decreased violence in some areas, although the FDLR rebels and other independent militias are still active. Along with these positive developments, state and regional actors are beginning to advance reforms in the minerals sector, including programs spearheaded by the International Conference on the Great Lakes Region (ICGLR). These reforms and sourcing initiatives like Solutions for Hope closed-pipe mine projects present opportunities for conflict-free sourcing from eastern Congo for investors and companies. Mike Loch of the company Motorola Solutions, which is helping build these initiatives, says of new mining projects in Congo, “If it’s not credible and it’s not reliable, it’s not sustainable,” highlighting the importance of responsible practices for the success and longevity of large scale mining on the ground in Congo. Invest in and source from certified conflict-free mines. Exercise transparency by implementing the Extractive Industries Transparency Initiative (EITI) guidance for companies and other transparency principles. Help create alternative livelihoods for artisanal mining communities and support the formalization of the artisanal mining sector. Consult early and often with local communities to prevent and mitigate adverse social impacts. Help end child labor by supporting programs that transition child miners out of the mines and into school or alternative vocational training. Protect Congo’s biodiversity and mitigate negative environmental impacts. Companies are not the only stakeholders with opportunities for leadership in the next wave of responsible investment in the Great Lakes region of Africa. The regional governments, particularly Congo, must also commit to continuing positive reforms for increased conflict-free initiatives, especially in the gold sector. They should also improve government transparency, prevention and punishment of corruption and human rights abuses, and adherence to international environmental standards. In the report, Dranginis provides a set of recommendations for state authorities to complement her guidance for companies to ensure both parties support a stable and profitable mining sector, respectful of international and domestic law, local communities, and the environment. She also includes case studies highlighting both positive and negative examples of foreign investment in natural resource markets. The road to a conflict-free Congo will be a joint effort among state leaders, civil society, and industry actors. Companies must adhere to the ethical business practices of a responsible investment model, and embrace new approaches to ensure that investment is a win-win for all involved.